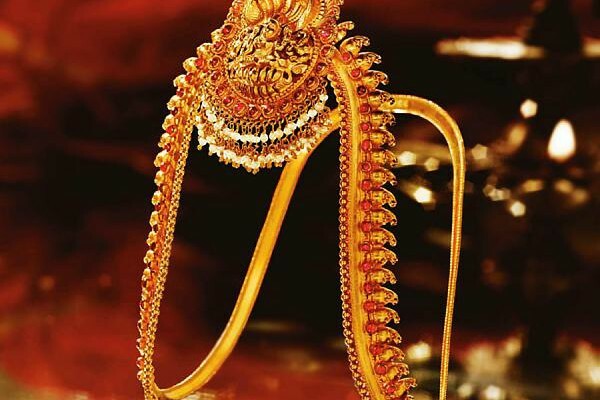 Making gold jewelry takes time and craftsmanship. 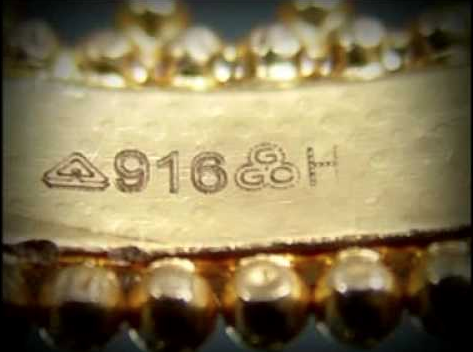 Weather you are making 14k custom gold jewelry or 24k gold jewelry, the process is the same. You start with your design and from there a wax model is carved . Many tools and techniques are used to create a wax: steel wax carvers, files, hand gravers, burs, drills, heat, etc. – whatever is required to achieve a finished model. Then the wax is ready for investing. 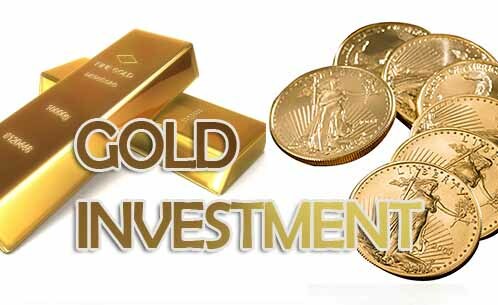 The next step in making gold jewelry is to invest. We first attach a sprue to the wax. The sprue will serve as a channel for melting wax to escape during burn-out and later for molten gold to enter during casting. Then the sprued wax is attached to a round rubber base. An investment flask is placed over the wax and is attached to the rubber base. The investment flask is a round cylindrical steel tube, similar to a tin can open at both ends. Investment begins as a dry fine white powder similar to plaster-of-paris in feel. It is especially formulated to withstand high temperatures and hold great detail during casting. The investment is mixed with water creating a slurry to the consistency of cake batter. At this point the air bubbles need to be removed from the investment. This is done by placing the investment slurry in a vacuum where the air is drawn out. This is called debubblizing. The slurry is then poured into the flask completely surrounding the wax. The flask is then placed into the vacuum chamber for a final debubblizing to make sure there are no air pockets attached to the model that would corrupt the casting. After the investment hardens the rubber base is removed and the flask goes into the burn-out oven. The burn-out takes hours at a high temperature until all the wax is eliminated. Once the burn-out has taken place only a hollow replica of the original wax carving remains inside the flask. The mold is ready for casting. 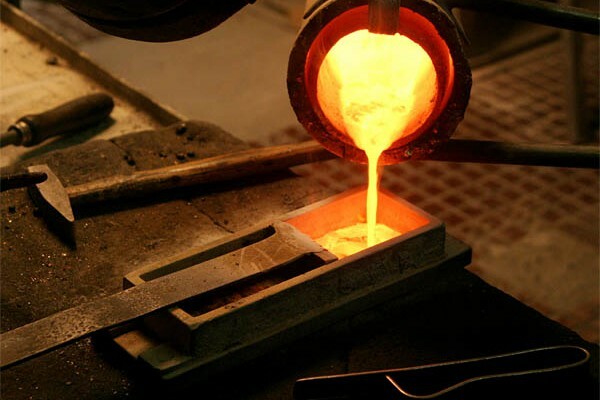 The flask is placed in a casting machine and the gold is melted in a crucible with a torch. At the proper casting temperature the molten gold is thrown by centrifugal force into the hollow mold and held there until it solidifies. Now you have a cast replica of your “lost” wax. The investment is then broken away from the cast piece. What remains is the rough casting. Now it’s time to clean up and polish the casting. 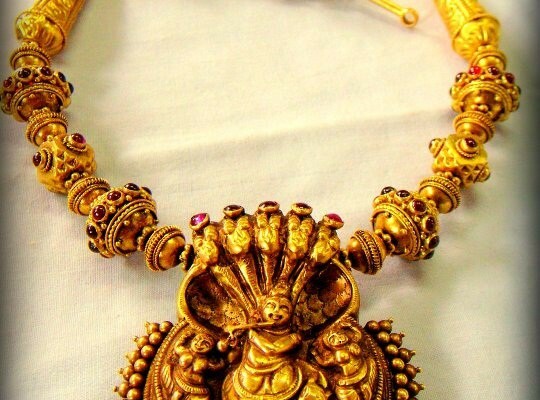 The gold jewelry making process is complete!